Taking a magical trip through the land of Oz is always bound to be an adventure to remember! But to have an extra special time, your little one has got to dress in a special outfit. 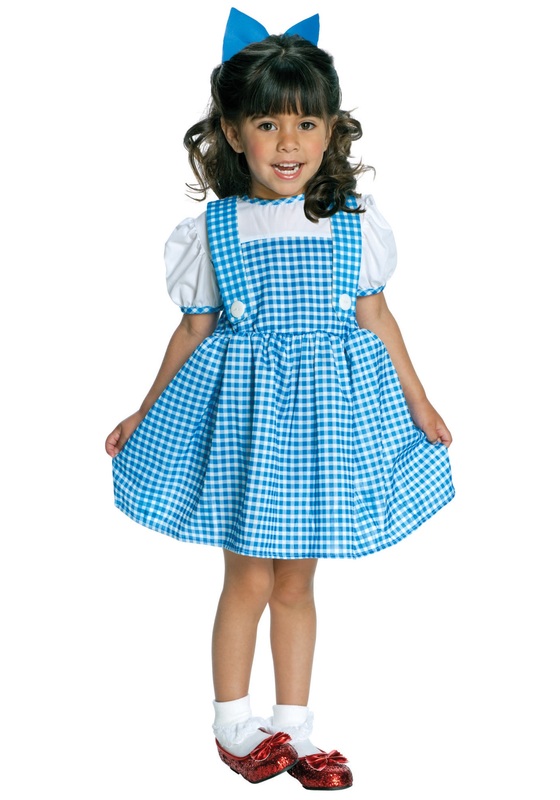 The best way for her to head to the Emerald City is to wear this adorable Tiny Tykes Dorothy Costume along the way! Skipping down the Yellow Brick Road is just the beginning of the excitement in the wonderful world of Oz. Once your little one is all dressed up like Dorothy and is heading down the road, she'll be sure to meet up with some magical travelling companions. Or, they might be her pals dressed up like friendly scarecrows, lions, and tin men, but they'll still make the adventure much more fun! She'll see all of the amazing sights in Oz while she's wearing this cute vintage style dress, and it will look even cuter with a sparkly pair of red slippers. Ruby red shoes will also make it much easier for her to get back home when she clicks her heels together! Your little Dorothy will be the loveliest looking kid in all of Oz in this one piece gingham patterned dress. All she'll need is a pair of pretty red slippers, and maybe a basket with a little toy dog in it to carry around on her trip, and she'll be ready to see the Wizard!